Pakistani troops today violated the ceasefire in Rajouri district of Jammu and Kashmir in which one Indian soldier was killed, reported ANI. Reportedly, there was unprovoked firing from small arms on forward areas in Naushera sector of Rajouri district along the LoC by Pakistani troops. According to a PTI report, there have been over 25 ceasefire violations along the LoC in Jammu and Kashmir after surgical strikes by Army troops in PoK to dismantle terror launching pads. 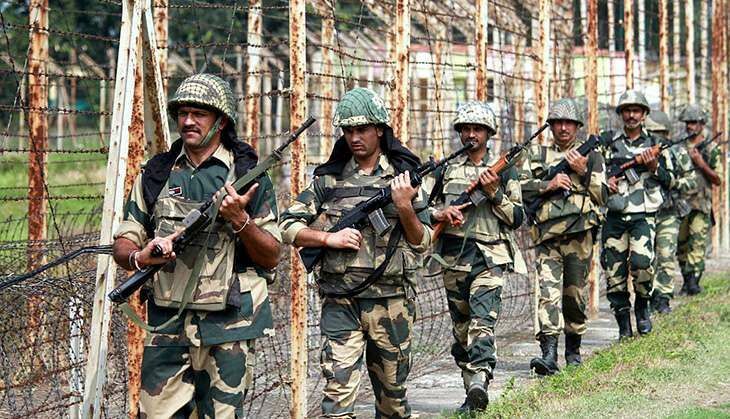 On 8 October, Pakistani troops had fired on forward Indian posts along Mendhar-Krishnagati sector in Poonch district resulting in injuries to one jawan. On 5 October, Pakistani troops had violated the ceasefire thrice and resorted to heavy firing and mortar shelling targeting several Indian posts and civilian areas in three sectors of Poonch and Rajouri districts. Pakistani troops had on 4 October targeted 10 forward areas with mortar shelling and firing with five ceasefire violations on Indian posts and civilian areas along LoC in four areas of Jammu, Poonch and Rajouri districts.